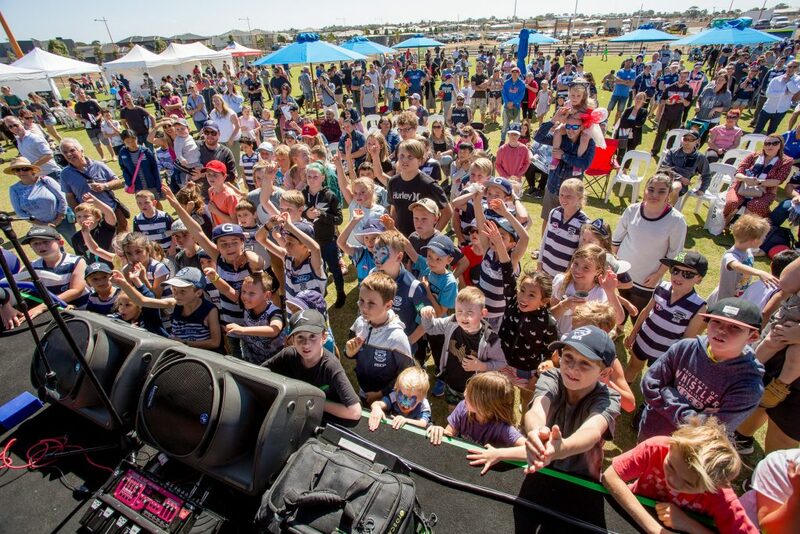 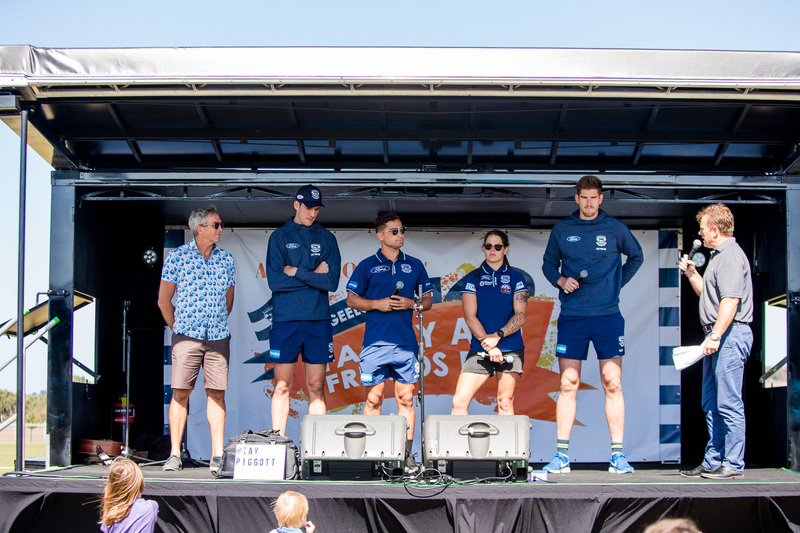 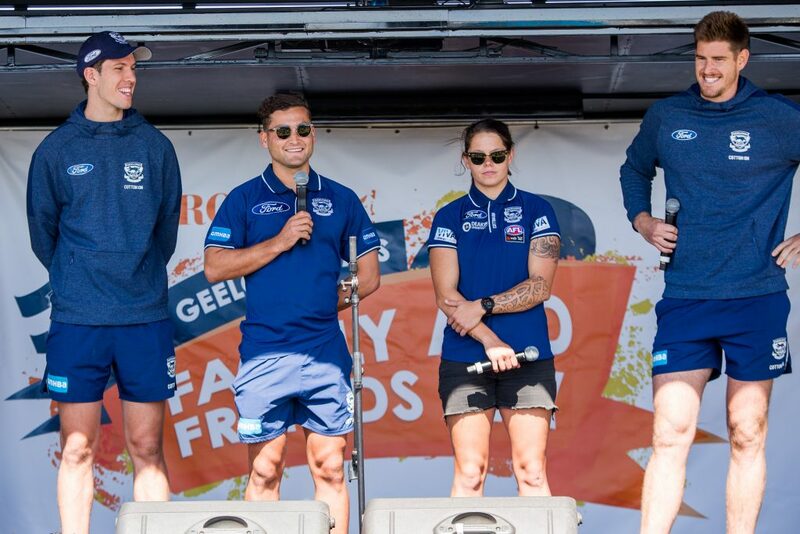 A sea of blue and white covered Armstrong Oval at Mount Duneed on Sundayas close to 1000 Cats fans joined Geelong Cats players for a massive Family and Friends Day. 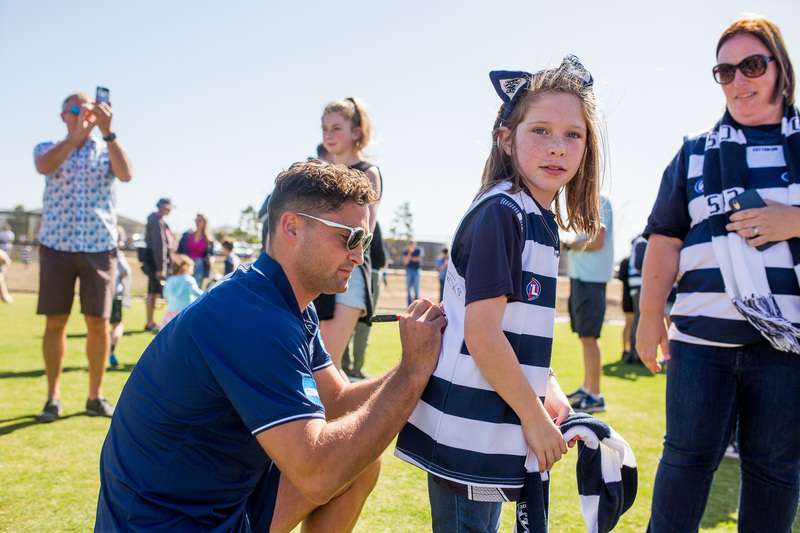 On hand chatting, signing autographs, kicking and handballing and giving away loads of footies, posters and memberships were Cats stars Luke Dahlhaus, Rocky Cranston, Zac Smith and Darcy Fort. 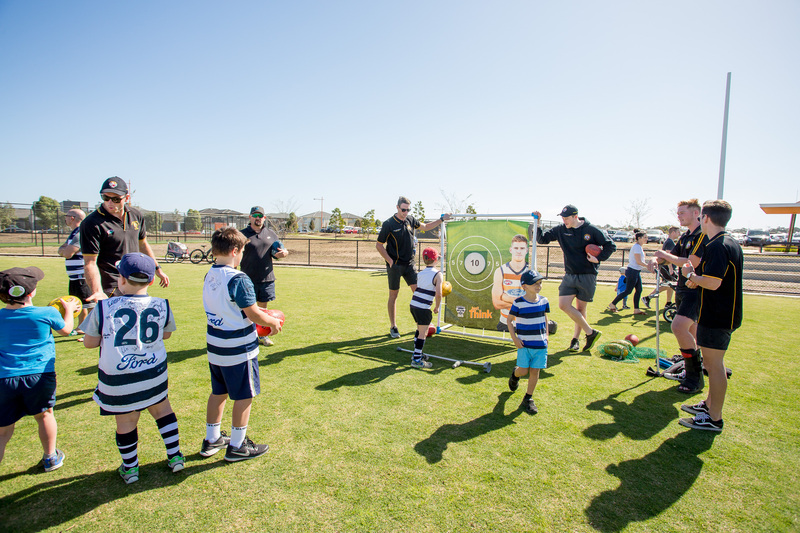 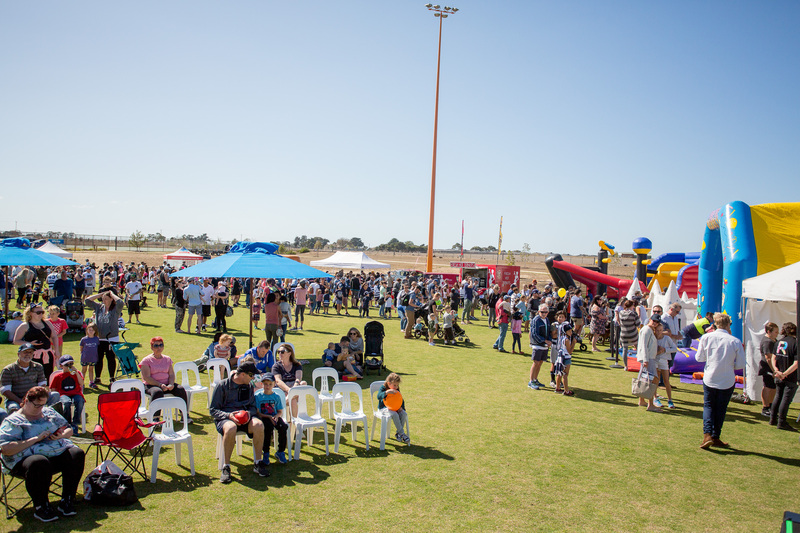 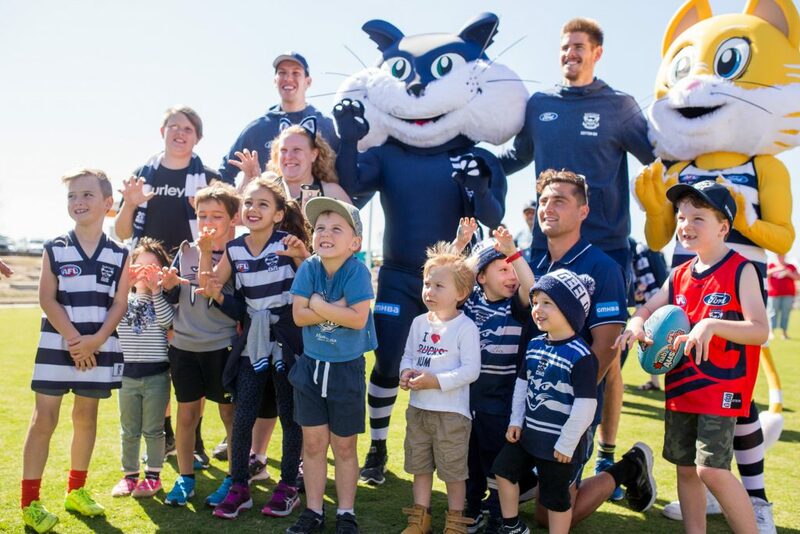 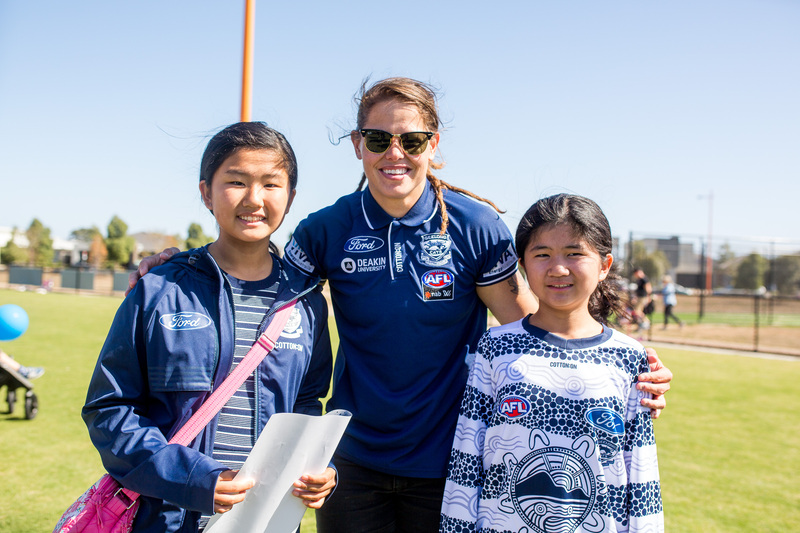 Arranged by Villawood Properties, the Armstrong Cats day also featured footy skills testing stations for young fans, a photobooth for action shots with their heroes and player interviews – as well as jumping castles, a sausage sizzle, face-painting and singer-songwriter Taylor Piggott. 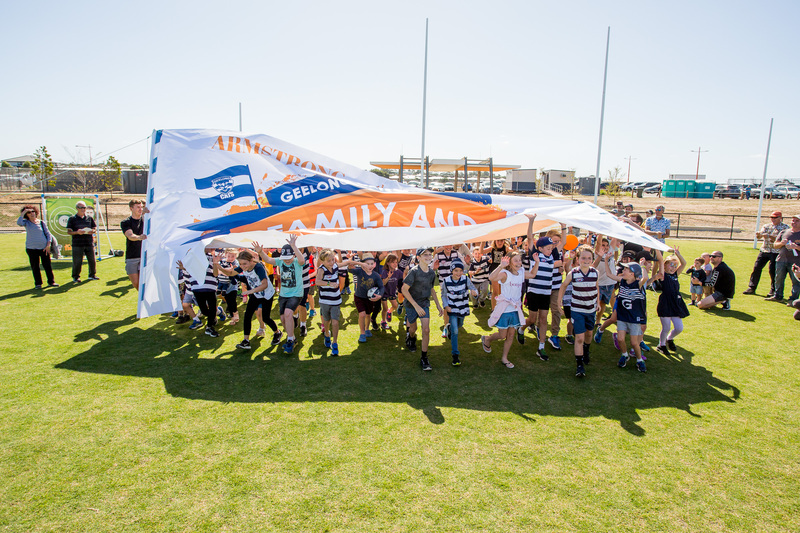 A Cats fan nirvana, with coffee and donuts, the event culminated with a mass banner run-though as hundreds of excited, blue-hooped kids tore through, then tore apart, the banner.